The Pulteney Free Library holds Story Hour for pre-schoolers and school age kids in the Town Hall. The story hour is a combination of activities including crafts, songs, stories, snack, and fun!! 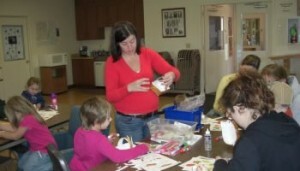 Each story hour is based on a theme and utilizes puppets, flannel board, and other media whenever possible. Call the library at 868-3652 to find out more information or to let them know if you will be attending.